Hey everyone! Summer is finally here (though, not technically I guess), which means it's time to melt on the pavement by stepping outdoors here in Arizona. Last semester was a lot of fun for me, personally. I was taking 3 art classes, which led to a lot of awesome portfolio work and meeting a lot of other awesome artists. It gave me an opportunity to improve my skills like drawing, animating, 3D modeling, and even things like time management to a certain degree (a skill I think everyone needs to be constantly improving). 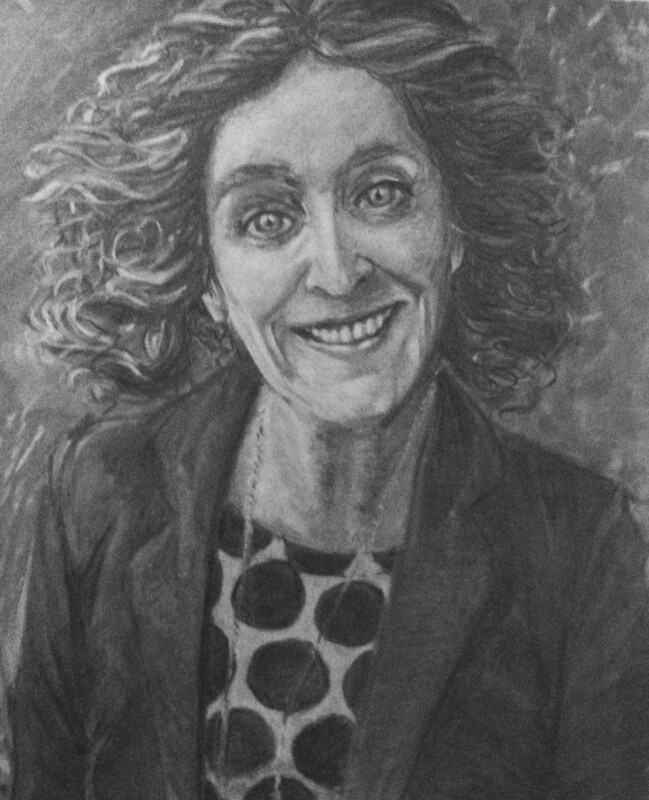 I also had the opportunity to draw Yvonne Watterson, one of the coolest staff members here on campus, for my final art project. The drawing was done entirely with charcoal and took about 5 hours to complete. Funny enough, I drew 5 portraits total of people I knew last semester, and all of them were of people from countries outside of the US. Charcoal is definitely an awesome medium to work with reductively. It almost makes me wish there was a digital way to simulate it properly (potential SIP idea, anyone?). This coming semester is extremely exciting as well. I'll be taking an Environment & Effects class for 3D, Advanced Character Rigging & Motion Capture, and Advanced Photoshop. Definitely less drawing than last semester, but still a lot of great opportunities to learn new skills and make new connections! I just hope I get a little time to play games like Mario Kart 8 for Wii U and Smash Bros for Nintendo 3DS later this summer!